The phrase may sound cliché, and it is, but there’s a reason people try to reinvent themselves and grow better every year. Now, for most people, this motivation burns out in a couple weeks, even a couple days. 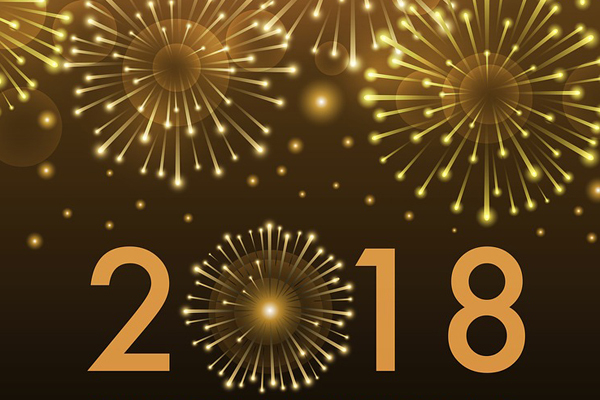 While New Year’s resolutions are surrounded with jokes of failure and some backlash, they can be vital in starting the New Year off right, both in school and out. People often use the New Year as a way to mend mistakes of the previous year, be it bad grades, unhealthy habits, or just their general outlook on life. They are excited to be better in all aspects of life and create a sense of positivity that works to eliminate stress from procrastination or dissatisfaction. It kick-starts a—hopefully—more productive year. But the question is: how can you get the most from your resolutions? First of all, it’s important to be specific. General statements like “do better in school” or “lose weight” have no benefits, because you can get an A on one quiz and have met your goal or spend your year raising your expectations so high that you can’t reach them. Instead, add numbers or outlines. Instead of just doing well in school, try to get three A’s every semester. Having a defined goal makes it much easier to keep going because you know what you want in the end. Another bit of advice is to break up your goals into smaller checkpoints, because you’re more likely to lose sight of a single goal that spans a year than a lot of simpler, more immediate goals. Instead of deciding to cook more in the New Year, try to cook eight meals in January, 10 meals in February, and so on. It pushes you in a bigger way, because most people lose sight of their resolutions when they’re so out of reach. But with a more immediate deadline, they become more important and easier to obtain. Don’t give up if you miss a day or goal. It’s okay to fall off the wagon—you can always get back on. It’s important to shake off small mistakes and rearrange your goals if needed, because if you don’t, all the hard work you put in before that will have been for nothing and can create a poor attitude in the future. So take this New Year to recognize how you can improve your life in any way, and work until you feel happy, because that’s what matters most.